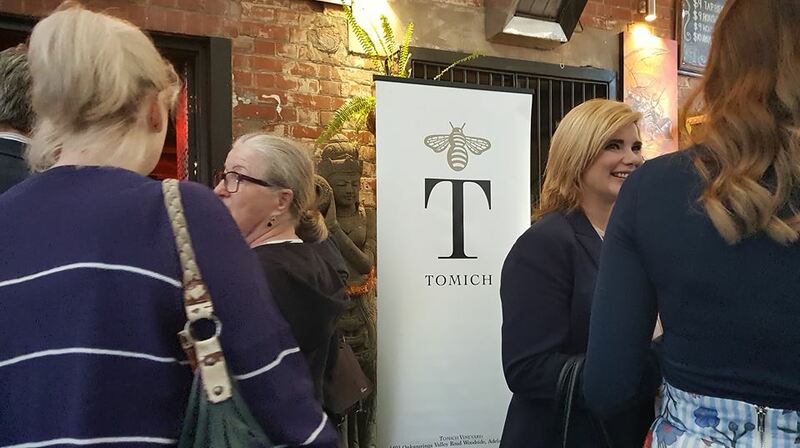 “What if we could bring the vineyard and the wine to the Fringe?” questioned CEO of Tomich Wines, Randal Tomich on Wednesday night at the launch of the 2019 Adelaide Fringe Collection by Tomich Wines. 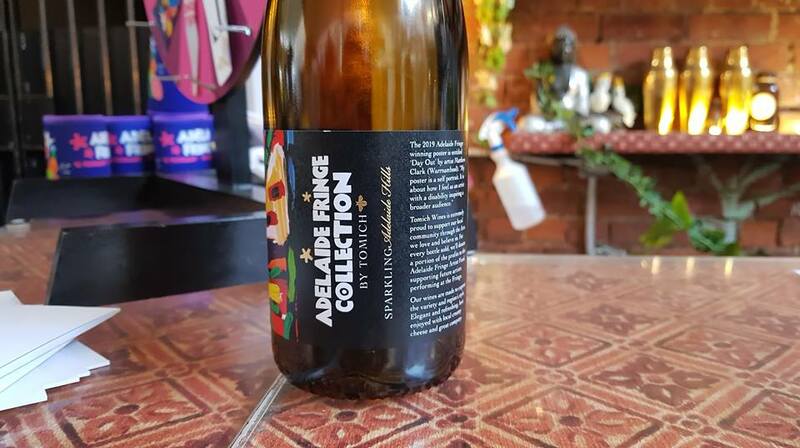 Adelaide Food Central were delighted to be invited to the launch of Tomich Wines’ second Fringe collection held at the popular Moroccan restaurant, Casablabla. The venue itself was dazzling with a relaxing beer garden and a mood-lit bar inside, providing a spectacular atmosphere for a fun evening. The night featured superb Tomich wine, delicious canapés provided by Casablabla, and even a spinning wheel filled with prizes. And it wouldn’t be a Fringe event without some entertainment in the form of a hilarious hula-hooping, knife-juggling busker. Tomich Wines is a winery situated in the Adelaide Hills, who are passionate about supporting wonderful Adelaide events and causes. As of this year, Tomich Wines and the Adelaide Fringe celebrated two years of partnership. For their 2019 Adelaide Fringe Collection, Tomich Wines created three unique and special wines; an elegant Sparkling wine, a fruity Sauvignon Blanc and a gutsy Shiraz. Three wines each distinctly different in taste and flavour and each perfect for a different occasion. Despite being a moderate wine drinker myself, I found that Tomich Wines’ Fringe collection suited every palette. Not only the wine itself was special, but the bottle labels also featured the winning art of the Fringe poster competition. 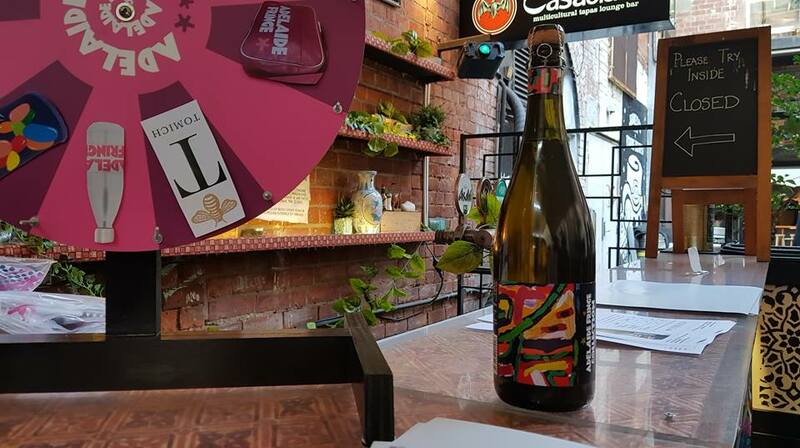 Designed by artist, Matthew Clark, he describes the label as a self-portrait of “how [he] feels as an artist with a disability inspiring a broader audience.” For every bottle sold, a portion of the profits go to the Adelaide Fringe Artist Fund. So, you can enjoy a great bottle of wine knowing that you’re also supporting a good local cause. Randal Tomich also teased about an exciting upcoming event in which the Fringe will be brought to Tomich Wines. An event where people are welcome to enjoy wine and lunch whilst admiring various art installations. 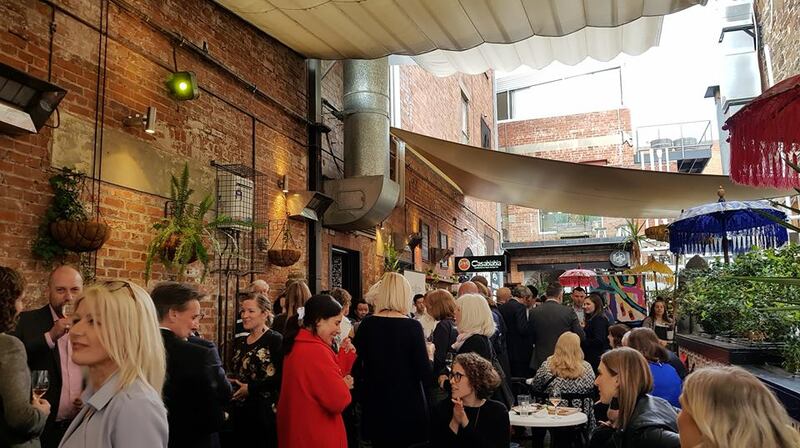 The Adelaide Fringe and Tomich Wines’ partnership clearly displays a similar goal – bringing the local community together for a great cause through a fantastic event featuring quality wine, entertainment and food. This collaboration truly represents the heart of South Australia and the promotion of good local events and produce.